Mark Devereux Projects’ artist David Ogle will be showing his captivating work Lumen as part of this year’s Henley Festival – 5-9 July 2017. 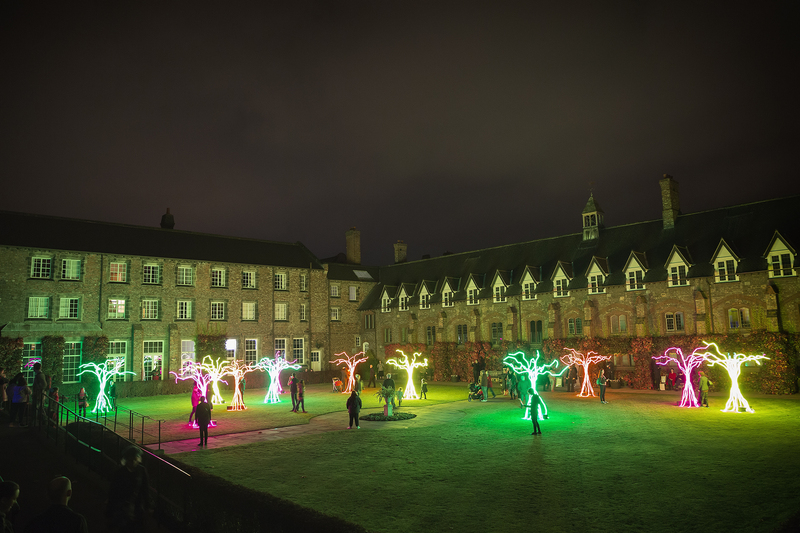 Lumen, (2016) by artist David Ogle is an installation of tree-like structures which form a luminous canopy of interlocking neon branches, reconfiguring the experience of a site with otherworldly colour and light. Within a darkened environment, the work produces an oasis of light, beneath which a viewer can explore. The viewer enters a dream-like setting, bathed in a vibrant glow, that feels set-apart from everyday encounters. Image: Lumen, David Ogle, 2016. Installation view: York St John University, York. Image courtesy: James Drury.